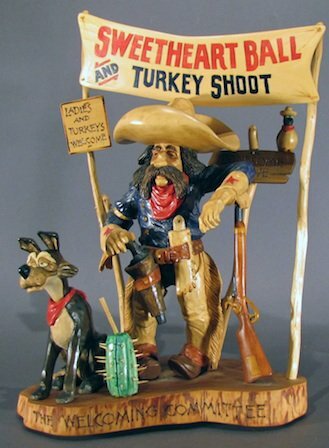 Witness seasoned craftsmen transform wood, ceramic and other materials into works of art at the annual Woodcarving & Folk Arts Festival in Broken Arrow. For over 30 years, this event has celebrated the art of folk crafts and traditional carving practices, featuring woodcarvers, wood turners, woodworkers, wood burners, scroll sawyers and more from across multiple states. Other artforms represented include stained glass, mosaics, letterpress printing and much more. Artists of all levels can partake in seminars for beginners ages 13 and over each afternoon, or attend demonstrations and displays of various wood art forms. Judging for numerous categories begins Friday, and wood and tool vendors will also be present throughout the event. Explore the possibilities of wood and other folk arts with acclaimed exhibitors at this two-day event. Located at Central Park Community Center off S Main St in Broken Arrow.